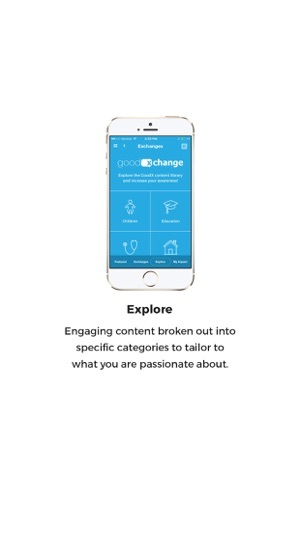 Check out all the major sections of the GoodXchange app from Good Exchanges, charities, partnerships, to your GoodX donation goals! 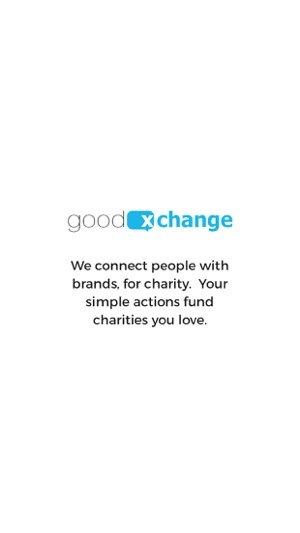 Learn about the sponsors and partners who are supporting the charities in the GoodX community. 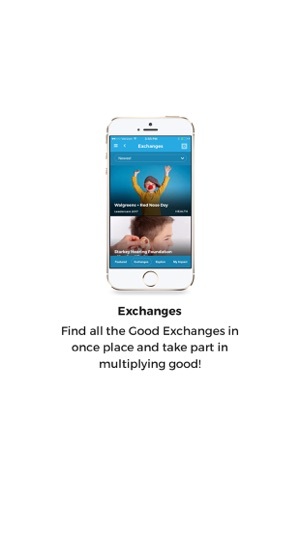 Learn about all the charities currently involved in the GoodX Community. 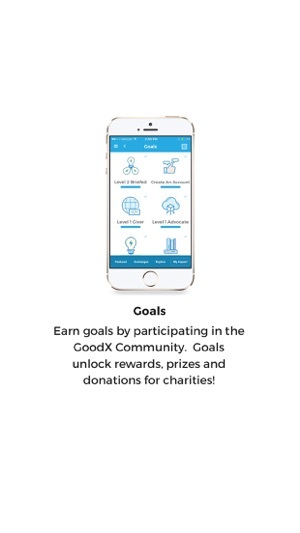 Earn goals by participating in the GoodX Community. 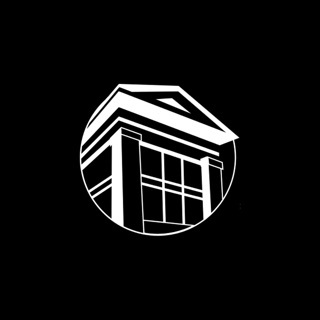 Goals unlock rewards, prizes, and donations for charities! 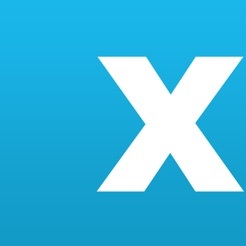 View your impact from participating in the GoodX Community. 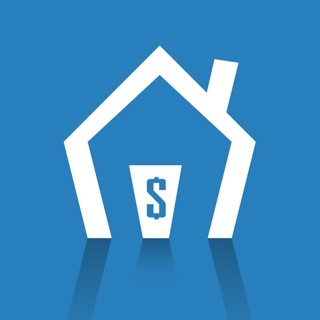 See what causes you have helped the most by percentages and dollar amounts. 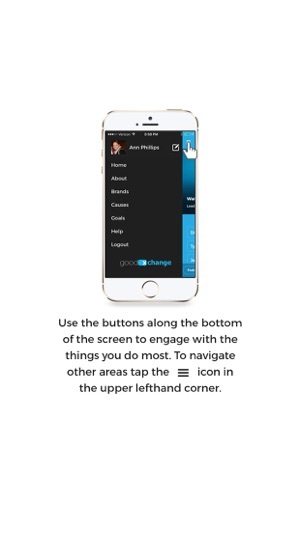 Check out the Exchanges section and help multiply good by completing actions, watching videos and taking polls! 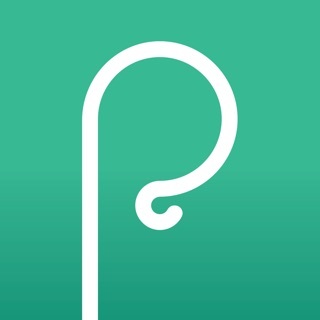 Explore engaging content by category around social causes! Quick access to featured Good Exchanges, Top Stories, and your personal GoodX Goals!